Jain Vegans is delighted to announce that two prominent UK Jain organisations have voted in favour of vegan catering in less than 12 months. 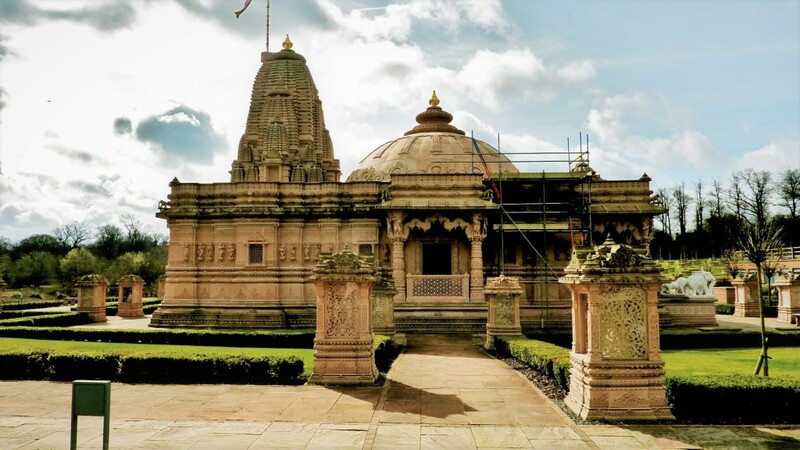 In October 2016, members of the Shree Digambar Jain Association (SDJA) voted in favour of a motion proposing that all catering is both suitable for vegans and excludes ingredients traditionally considered unsuitable for Jains, such as root vegetables. 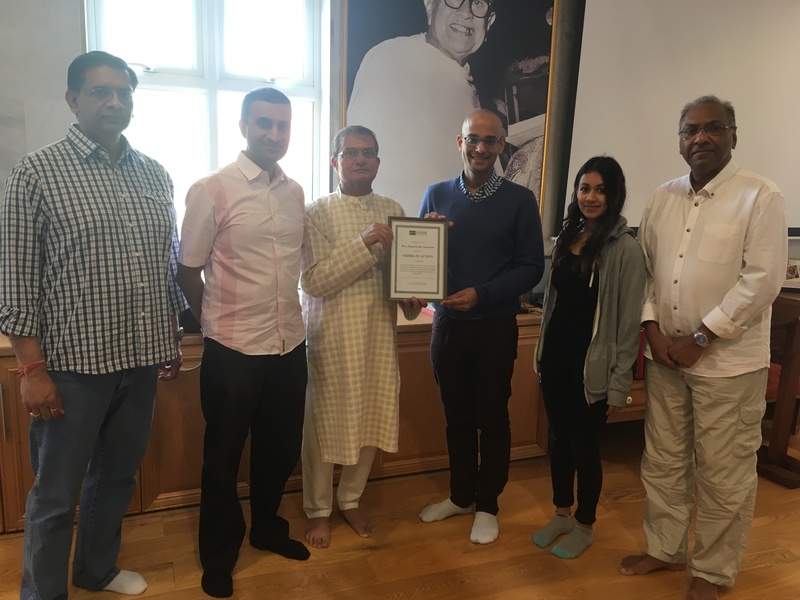 Young Jains UK passed a similar motion in April 2017. Both organisations had been serving exclusively Jain and vegan food for some time. Nevertheless, the passing of formal motions at their respective AGMs demonstrates that their members recognise that using dairy products is inconsistent with the Jain principle of Ahimsa (non-violence). The decisions by these organisations reflects a broader shift in the UK Jain community towards a vegan lifestyle. We very much hope that other religous and community organisations follow suit. 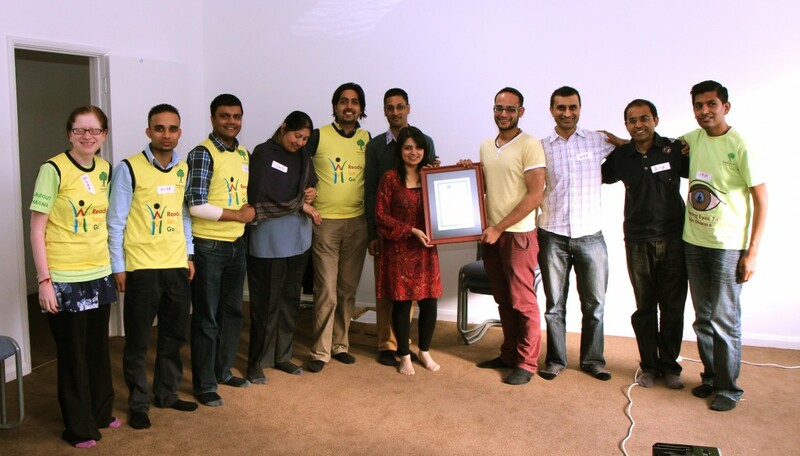 The Jain Vegans Working Group has sought to recognise the non-violent catering stance of these Jain organisations by presenting them with the “Ahimsa in Action” award. Young Jains was presented the award in April 2013, while the award was presented to the Shree Digambar Jain Assocation in April 2017. Mr Jyotindra Dhanani, member of the SDJA Executive Committee, on accepting “Ahimsa in action” award in 2017.